OK, all parts are ordered. All plans appear to be coming together nicely. So, it's time for me to finalize my color selections. These are the colors I will be using: Neon Yellow, Wine Red and Grape Purple. After many iterations, I believe I will be using the following panel layout, although, this is not cast in concrete, yet. Unless someone can convince me, with good reasoning, to use a different layout, I'll make my next post about this build as a build thread such as Sugarbaker has done. Just don't expect me to produce the same quality kite as this is my first build. you won't be disappointed! 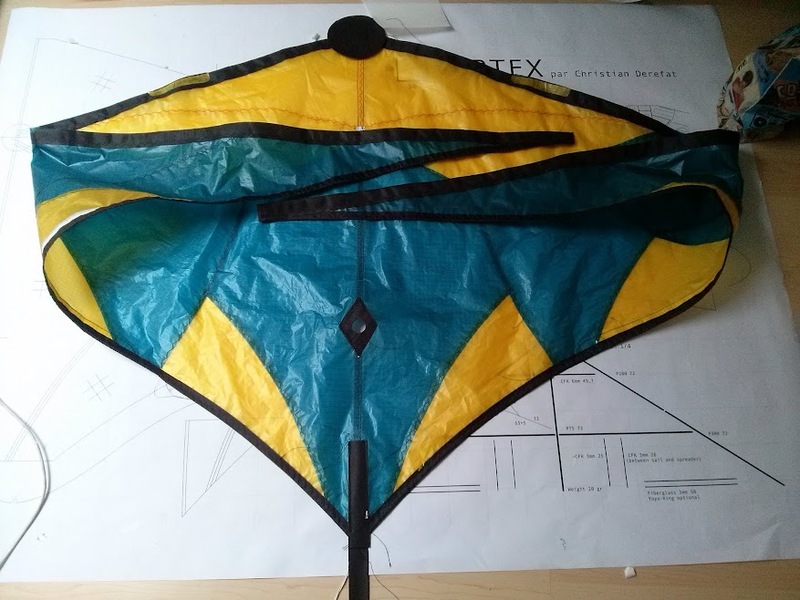 The vortex is such a great kite I've made two, and may make a third one this spring. Before I mess up my Vortex build, I have a question. The positions marked on the plans for the US and LS, what do they represent? Are they the intersect position of the spar, the upper edge of the APA connector, the lower edge of the APA connector or the center of the APA connector? OK, one more question: Where should the inner and outer standoffs be located along the spreaders? Any measurements? 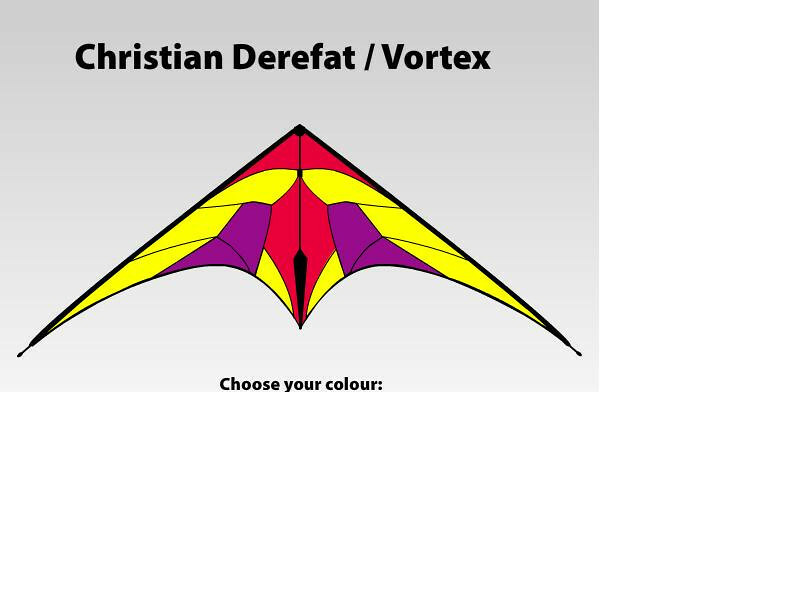 Vortex is a great kite... I enjoy mine very much. It's been a while since I put mine together, but I believe I centered my APA connectors on the leading edge connector marks on the plan. Give it a go, but don't place stoppers until you're happy with the setup... this will allow some fine adjustment. [..]but don't place stoppers until you're happy with the setup... this will allow some fine adjustment. Now it's the time for framing. I am wondering between 5PT and BD Nitro STD for LS. Maybe somebody have tried this solution? Is it good idea at all?